Hoop heads, it's another giveaway week! 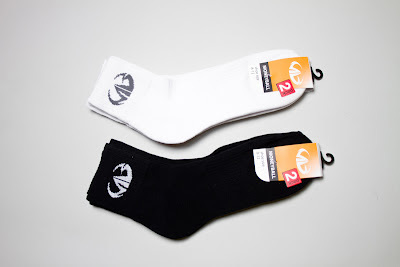 This week, the RAPS TALK podcast is giving away two pairs of sports socks courtesy of Moneyball Sportswear, the official uniform sponsor of the National Basketball League of Canada. Check out the @hiphoopjunkies feed and retweet the link to the contest. Annnnd......once you follow all of those steps, tune into next week's podcast (March 19th) for the winner via random draw! Be sure you check out Moneyball Sportswear, the official uniform provider for the National Basketball League of Canada. They've got some great Tees, Shooting Shirts, Warmups, T-Shirts, Shorts and more!